You'll be amazed what your home can do. are compatible, interoperable, upgradeable and maintainable. Not only does that future-proof your home, allowing you to always take advantage of the latest and greatest, it tends to be a lot less expensive to boot. 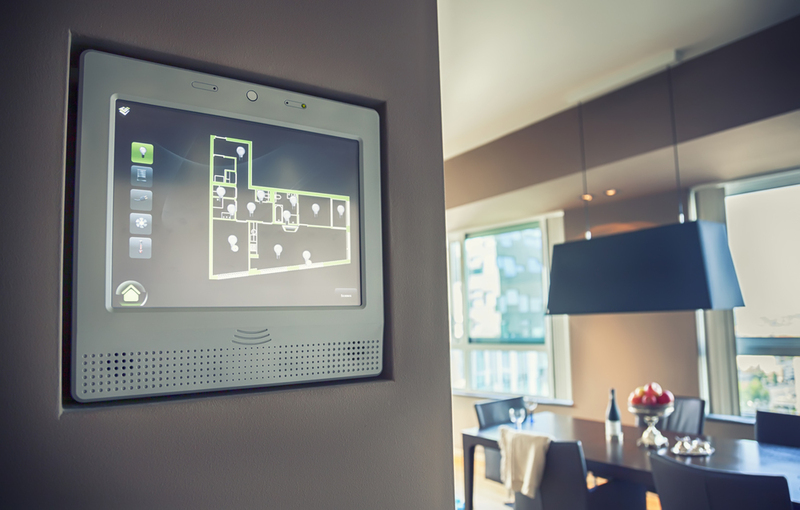 A home automation system provides convenient home comfort with intuitive digital control. Access your lighting, security, audio/video systems, climate control, motorized drapery systems and even your pool or spa to create the perfect relaxation atmosphere from your smart phone, tablet, or with your voice. Historically, automation systems have been manufactured as complete packages where the consumer relies on one company for an entire system including hardware, communications protocol, central hub and user interface. We offer open source software solutions which can be used with proprietary hardware to give you more flexibility and ultimately, a better system. Smart thermostats allow you to control the temperature of your home from miles away -- or the comfort of your bed. Fire up the A/C while still on the road and arrive to a cool home, no matter the weather. We work with Nest, Ecobee and Honeywell thermostats, which can be integrated into Alexa as well as the Harmony remote. Control your environment like never before with the new generation of thermostats. See the Nest and Ecobee Thermostats at our showroom. Control who's coming and going to your house from anywhere with the August SmartLock. The August Smartlock replaces the interior portion of your existing door lock, and grants workers or visitors temporary access using their smartphones or a temporary numeric code. The August doorbell integrates with the lock, so you can see what's going on at your front door not just when someone rings the bell, but at any time of day or night. Come see the August Smartlock, Keypad and Doorbell in action at our showroom. 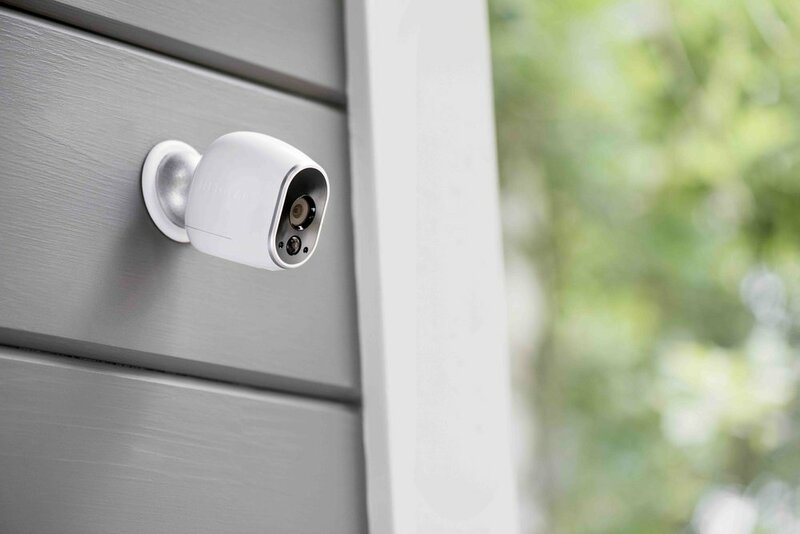 Keep eyes on your home when you're away with the Arlo Camera Security system. Cameras can be installed everywhere, with either wired power or battery power and Arlo's proprietary wireless protocol puts cameras where Wi-Fi can't reach. Arlo cameras record directly to the cloud, and can retain up to 60 days of video footage. Come see the Arlo Camera at our showroom. Set the scene for any mood in any room with custom lighting and shade solutions. Sunrise Smarthome works with a range of panel and non-panel lighting systems, all of which can be controlled from either an app, voice command, or through remote control. Scenes allow you to set the lighting level for multiple light fixtures or even multiple rooms with a single command. If you're stuck with an old lighting system that's impossible to upgrade or service, let us know -- we can help. Imagine being able to say "Alexa, turn off downstairs" before retiring for the evening. Come see Insteon and Jasco lighting systems in our showroom. For the truly programmable home, Sunrise Smarthome leverages the Samsung Smartthings platform, which integrates with virtually all of our other offerings. Smartthings works with multiple sensors -- motion, temperature, humidity, light level, open/close, even leak sensors -- which can trigger actions like lights turning on, emergency text messages, or an audible siren. As the most open platform available, Smartthings also integrates with Harmony remote controls, Alexa, Google Home, Sonos, Arlo Cameras, and more. Take your home to the next level of intelligence with Samsung Smartthings and Sunrise Smarthome. See Smartthings in action at our Bridgehampton showroom!